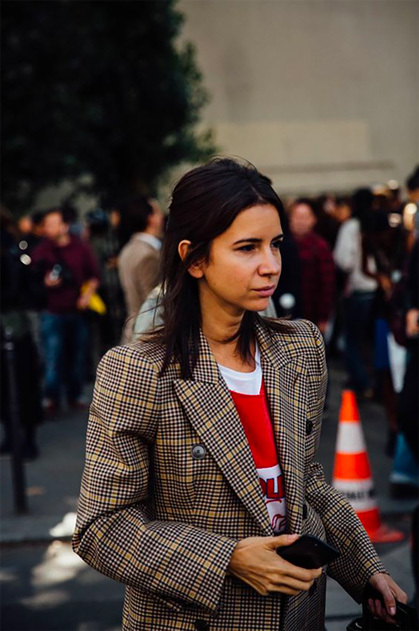 I'm loving all the checked blazers out and about this fall, specifically their sophisticated masculine vibe and outfit-polishing power. They look extra chic and modern styled with unexpectedly casual pieces, like a hoodie or a t-shirt (see last pic from H&M). 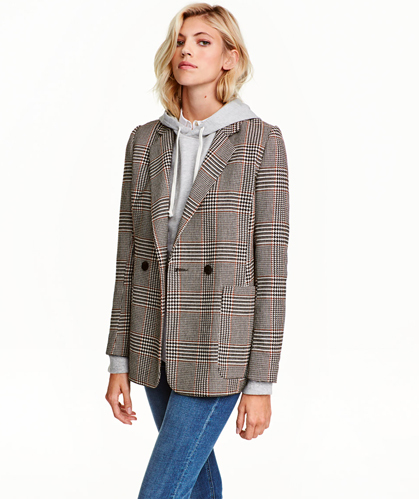 Check out these chic checked blazers from Balenciaga (below), J.Crew, Olivia Palermo + Chelsea 28, and Veronica Beard. Love the first look! Can you identify the trousers? They look like black denim!